For those who want to migrate to Canada even as a tourist, the country has lowered the restrictions on those who need a visa to visit Canada. The Mexican population are one of the few who no longer need to worry. As Canada prepares to remove the visa requirement for Mexicans visiting Canada on a temporary basis, the Canadian officials at Immigration, Refugees, and Citizenship Canada (IRCC) are expecting a huge increase in Mexican migrants to the country. From December 1, 2016, a tourist visa will no longer be required for Mexicans visiting Canada. While Canada is opening its arms to the world and Mexico in particular, in the USA, the immigration policy looks bleak. This is coupled with the immigration views of president-elect Mr. Donald Trump who among other things stated his intentions to build a wall along the U.S – Mexico border and swiftly deport undocumented residents. In 2009 the then Prime Minister of Canada Stephen Harper imposed a new visa rule and system that was allegedly aimed at reducing the number of bogus asylum applications from Mexican citizens. However, as of December 1, 2016, under the leadership of Prime Minister Justin Trudeau, Canada will remove visa requirements for Mexican citizens after fruitful talks with his Mexican counterpart president Enrique Pena Nieto earlier this year. The two major benefits of the removal of this contentious rule for Mexicans is that it will be easier and cheaper to visit Canada temporarily, it will also become more straightforward to apply for work permits. During the announcement of the removal of the visa requirement, Prime Minister Justin Trudeau was quoted as saying “Mexico and Canada share more than just a continent. We share values, goals, and ambitions. Not only for our respective citizens but for all members of our global community”. It is expected that the removal of the visa requirement will significantly increase Mexican migration to Canada. Even though the announcement to remove the visa requirement was made way before the US president-elect Donald Trump won the recent elections, immigration experts believe that his views on immigration will help push Mexican immigration levels in Canada. During his election campaign, the US President had this to say about Mexican immigrants to the country, “Mexico is sending people that have problems, and they are bringing these problems with them.” “They are bringing drugs, they’re bringing crime, and they are rapists”, he adds. It is this kind of talk that has brought huge uncertainty among the Mexican community in America and the welcoming response and initiatives being introduced by Canada is drawing Mexicans by the thousands. The government of Canada believes that lifting the visa requirement will help deepen ties and relations between Canada and Mexico and will increase the number of travellers, ideas and business between the two countries. As of December 1, 2016, Mexican citizens will no longer be required to apply for a Temporary Resident Visa (TRV), in order to visit Canada temporarily. They will only be required to apply for an electronic Travel Authorisation (eTA) if travelling to Canada by air, or simply have their travel documents, a passport, for example, that will be checked and verified at a Canadian Port of Entry if travelling by land or sea. However, Mexican citizens should be aware that the lifted visa requirement is for temporary visitors to Canada, whereby, visitors to Canada are generally given 6 months stay in the country from the day they enter. Otherwise, Mexican citizens who want to study or work in Canada must continue to apply for work and study permits to the country. Or as a foreign worker with a temporary work permit that is supported by a Labour Market Impact Assessment (LMIA). While there is growing concern about the state of the immigration policies in the US for Mexican immigrants and workers, Canadian companies, on the other hand, are reaching out to immigrants frustrated by the restrictions and uncertainty in America. The Canadian government makes a big effort to attract students, skilled workers, and other professionals from all over the world, and now Mexico is at the forefront. Mexicans travelling to Canada as of December 1, 2016, will enter Canada by merely showing a valid passport, which is much easier than the long, expensive process of acquiring U.S visas. In a move that shows how much the Canadian government is willing to aid immigration to the country and make sure as many people as possible are able to visit the country, Canada has stated that it will spend $58 million to speed up citizenship applications. The government also aims to triple citizenship approvals for parents and grandparents of immigrants. In addition to that, while waiting for their citizenship, those people will get a 5-year multiple entry visa to visit their children in Canada. Employment opportunities – The growth and sustainability of Canada’s economy has meant that there are a variety of jobs available for Mexicans, especially through the North American Free Trade Agreement (NAFTA). Canada also offers temporary work permits to Mexicans, the majority of them under special seasonal agricultural programs. 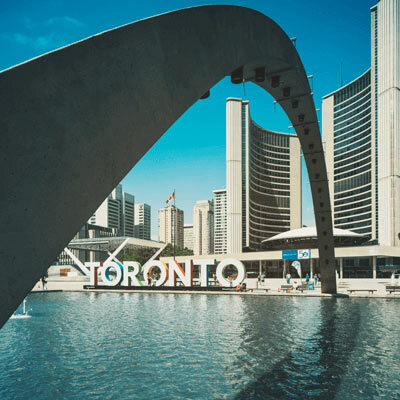 Study opportunities – Canada boasts one of the best education systems in the world at all levels, and their higher education universities and colleges are among the best 200 in the world according to a recent study. Canada offers Mexican students easier short-term study opportunities especially in improving their English language proficiency. 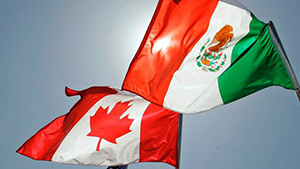 The Quality of life – The difference in the quality of life between Canada and Mexico is huge. The minimum wage for workers in Mexico is less than $5 a day, moving to Canada will mean they will have a quality standard of living, the advantage of the free healthcare system and the free education system. Canada offers a huge uplift in terms of general quality of life and future prospects.